One of the most pressingproblems of mathematics over the last hundred years has been the question: What is a number? One of the most impressive answers has been the axiomatic development of set theory. The question raised is: "Exactly what assumptions, beyond those of elementary logic, are required as a basis for modern mathematics?" Answering this question by means of the Zermelo-Fraenkel system, Professor Suppes' coverage is the best treatment of axiomatic set theory for the mathematics student on the upper undergraduate or graduate level. The opening chapter covers the basic paradoxes and the history of set theory and provides a motivation for the study. The second and third chapters cover the basic definitions and axioms and the theory of relations and functions. Beginning with the fourth chapter, equipollence, finite sets and cardinal numbers are dealt with. Chapter five continues the development with finite ordinals and denumerable sets. Chapter six, on rational numbers and real numbers, has been arranged so that it can be omitted without loss of continuity. In chapter seven, transfinite induction and ordinal arithmetic are introduced and the system of axioms is revised. The final chapter deals with the axiom of choice. Throughout, emphasis is on axioms and theorems; proofs are informal. Exercises supplement the text. Much coverage is given to intuitive ideas as well as to comparative development of other systems of set theory. Although a degree of mathematical sophistication is necessary, especially for the final two chapters, no previous work in mathematical logic or set theory is required. For the student of mathematics, set theory is necessary for the proper understanding of the foundations of mathematics. Professor Suppes in Axiomatic Set Theory provides a very clear and well-developed approach. 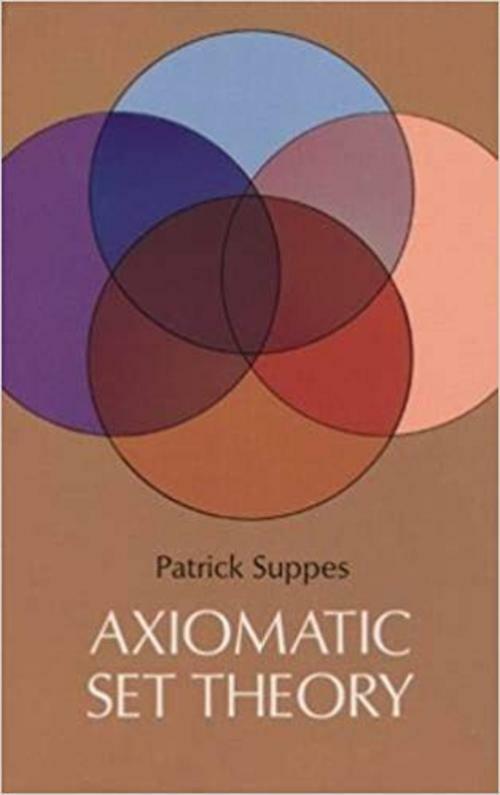 For those with more than a classroom interest in set theory, the historical references and the coverage of the rationale behind the axioms will provide a strong background to the major developments in the field.